Who doesn't love a dress versatile enough to be worn all year long? 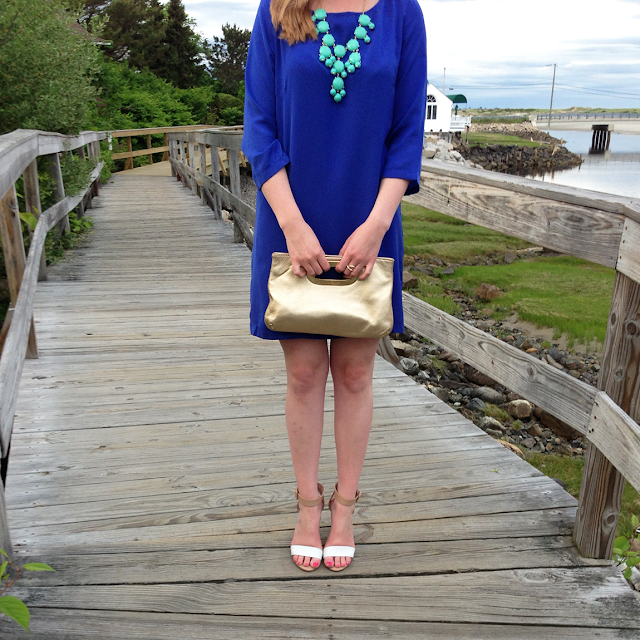 Like this blue shift dress (last seen here). I suggest gold accessories with tights for a winter look, and bright accessories + sandals in the summer. 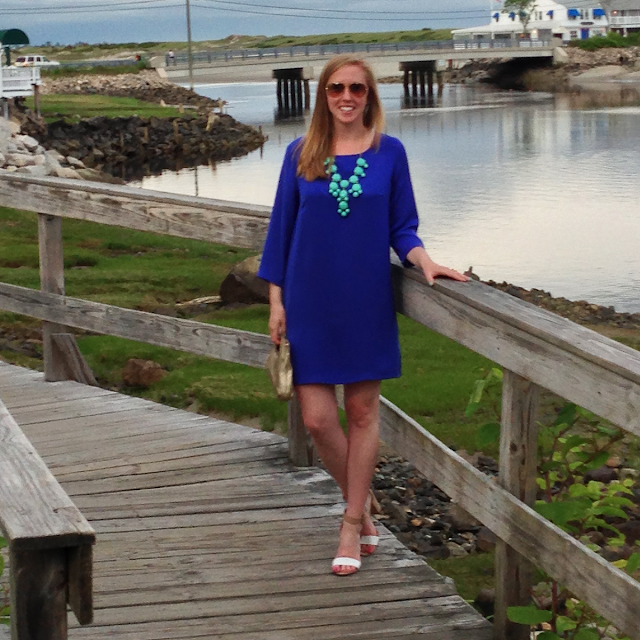 While in Maine this weekend, I paired the dress with a pop of turquoise + these Zara sandals for a night filled with dinner, drinks + dancing. Happy Monday.